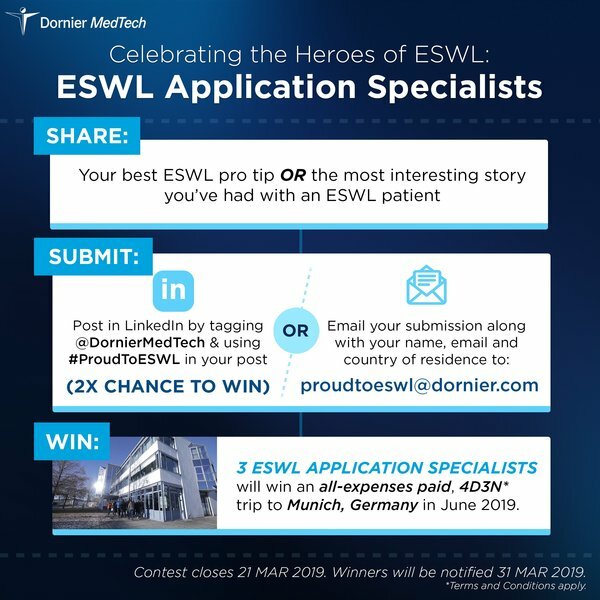 SINGAPORE, Feb. 7, 2019 /PRNewswire/ — In commemoration of the very first Extracorporeal Shockwave Lithotripsy (ESWL) procedure performed on 7 February 1980, Dornier MedTech (Dornier) has announced a global competition to honour ESWL Application Specialists around the world. Many people have heard of the urologist, or even the nurse — but few know or understand the important role of ESWL Application Specialists. 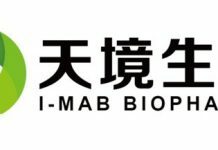 Their skills are fundamental to the success of every ESWL treatment procedure, ensuring that patients can continue to go about their daily lives as soon as the next day after a successful treatment for kidney or urinary stones. Dornier’s competition has been launched to inspire and shine a light on the knowledge, skills and contributions ESWL Application Specialists make to treating kidney and urinary stones on a daily basis. The competition seeks to bring out the life-changing and heart-warming stories of how ESWL Application Specialists have made a difference to the lives of patients, caregivers and healthcare professionals. Three winners will be chosen based on their entry and win an all-expenses trip to Dornier MedTech’s Headquarters in Munich, Germany, where they will visit the original Dornier manufacturing facility and heritage museum, interact and engage with key physicians and collaborators from Dornier MedTech to help shape the next generation of ESWL products, and tour the city of Munich. As pioneers of the lithotripsy and a variety of surgical lasers, Dornier’s 40 years of innovation and service have made it one of the most trusted MedTech companies in the industry.